Global Vincitore – Cost Effective Mobile and Web app development Agency for Startups and Enterprises. A renowned IT Services and Solution provider company based in Gastonia, NC. A team of experts, creative designers, technology enthusiasts and Internet marketers who are ready to help the clients to convert their ideas into reality. Global Vincitore – One Stop Solution for SME’s to larger enterprises, we are committed to delivering quality services which add new dimensions and take your business to the next level in your Industry. 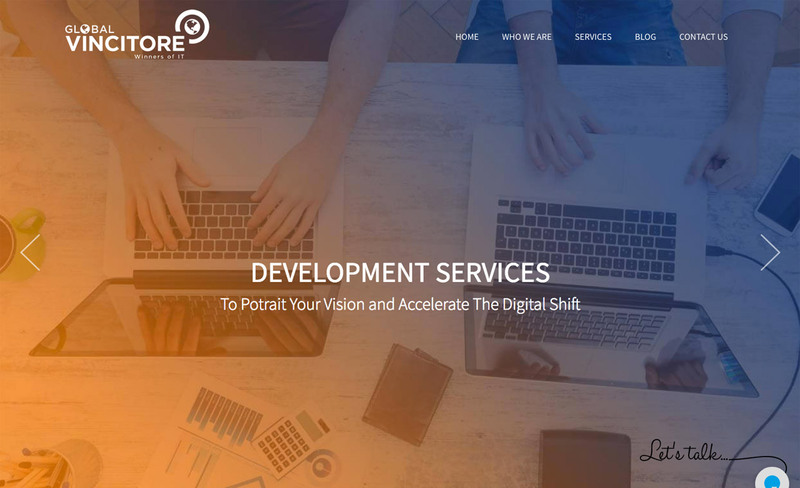 Core competencies: Mobile App Development Web Development Services Web Designing Services Internet Marketing Services Laravel Development Services WordPress Development Services Magento Development Services PHP Development Services Since 2014, the company is offering client-centric and customized services and solutions. We help companies, startups and enterprises to create a powerful impact in the digital world with their websites and mobile apps. The goal is to become globally appreciated, preferred and recognized IT solution provider company for best in class Strategy, Marketing, Designing and Development Services.